Ever since it was announced that Lost creator Damon Lindelof would oversee an adaptation of Alan Moore’s beloved DC comic Watchmen into an HBO series, updates have been few and far between. Last we heard, the Lindelof project was supposed to start filming its pilot episode in March of this year but has heretofore abandoned that plan. While it’s still scheduled to begin production sometime in 2018, the fandom is eager for a much-needed briefing. Thankfully, Lindelof heeded enthusiasts’ clamoring, obliging their thirst for details in a recent sit-down on Bookish with Sonya Walger. The architect behind one of TV’s most original and daring shows in recent history – The Leftovers – disclosed to the titular host that his project might not be a direct adaptation of the Watchmen comic, likening his take on Moore’s deconstructed parody of superhero-dom to Noah Hawley’s Fargo. 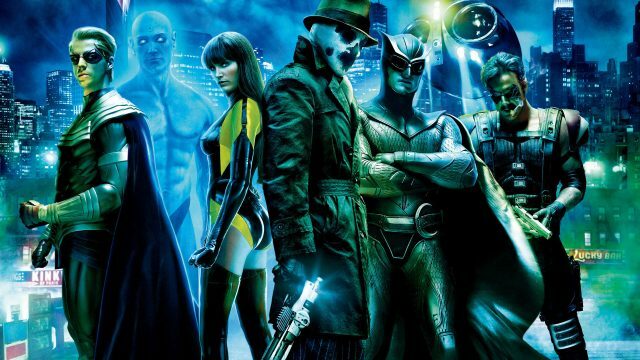 During the interview, Damon Lindelof also acknowledged Moore’s forthright aversion to translating Watchmen to the small screen, going so far as to say that the comic book writer’s antipathy to the idea is one of the main reasons why the show won’t be a direct adaptation. To date, HBO has only committed to a pilot episode of Lindelof’s budding reboot, but considering his impressive résume, we wouldn’t be too surprised if (when?) the Powers That Be order his Watchmen to series. Because in a realm dominated by The CW’s Arrowverse – not to mention Marvel’s Netflix lineup – a competent, adult-oriented superhero series is long overdue. Don’t you think?